Diamonds are a girl's best friend! Beautiful as they may be, these friends are expensive, am I right? Well not anymore! Today we're sharing 10 unique diamond rings that are beautiful and budget-friendly. Each one comes in under $1,000, leaving you room in your wallet to buy one, several or splurge on other items on your wish list. Whether you're shopping for your wedding band or just looking for some shiny stackables, these picks are sure to satisfy! Six Star Ring, $400. Image via Envero Jewelry. 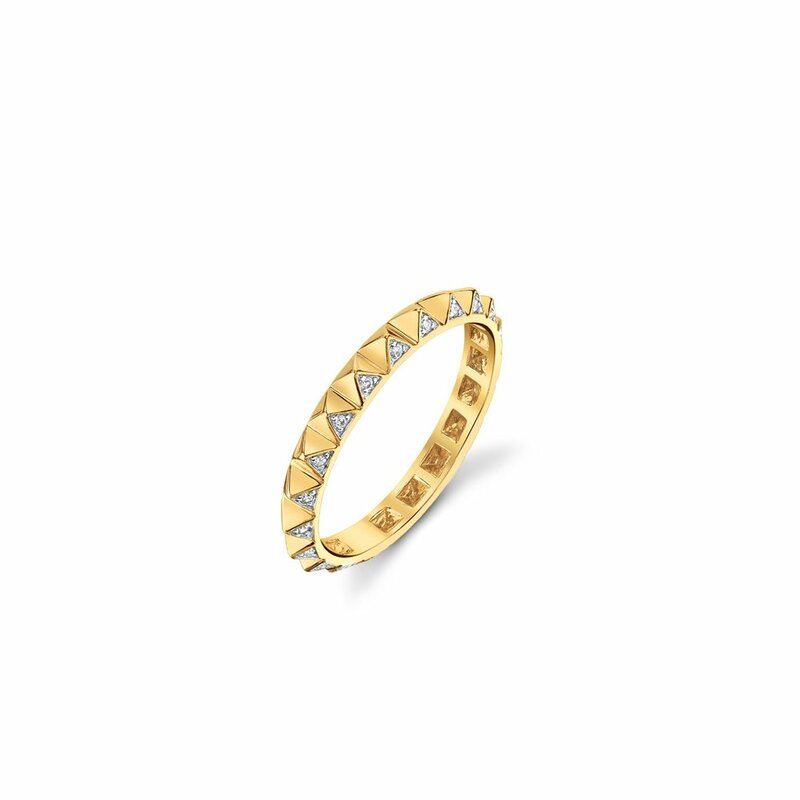 Marquis Fan Ring, $595. Image via Saks Fifth Avenue. We hope you enjoyed this list of affordable diamond rings! Be sure to browse through the rest of these brand's designs for more unique baubles.